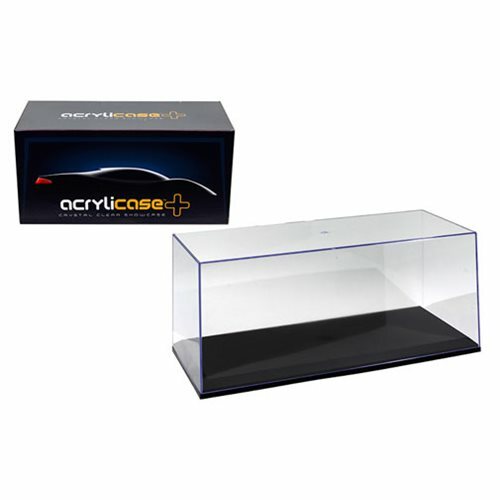 Give your 1:18 scale vehicles the awesome display they deserve and protect them from dust with this Acrylicase Plus 14-Inch Crystal Clear Showcase Display case from M & J Toys. It measures about 14-inches long x 6-inches tall x 5 4/5-inches wide. Ages 13 and up.